I love love love online grocery shopping and delivery. And those days, supermarket websites make it so easy for you to find your products and shop in just a few clicks. Think about it. You are at work, thinking that after those excruciating 9 hours in your cubicle, you still have to go to the supermarket, face the after-office-hour crowd, fight for the last salad, queue at the cashier for 15 minutes, and carry your groceries home. Or worse: spend your precious weekend time with even more people at the grocery store. Why not try grocery delivery instead? You can spend your lunch hour filling your cart, groceries will be the same price as in the store, and usually you will have to pay a £3 to £5 fee to have them delivered to your doorstep. Sadly, grocery delivery is not an option in Guatemala, but when I lived in the UK, and didn’t have a car, at first I thought I should go to the store on my little scooter and bring back my groceries. Often, it would be dark and depressing out there, maybe even raining, which on a scooter is hell, and I would have to go more often because I couldn’t carry all I needed in one trip. Grocery delivery saves you a ton of time. Even if you aren’t that computer savvy, after a few orders, you will know where to find your products and how much your need. One option I really loved about online grocery shopping was the ability to save your cart for the next time. Because we are all creatures of habits, and we generally order the same base of items, adding a few extras here and there. Having half of your grocery list filled up already saves you a ton of time. And as I said before, you can order during your lunch break instead of playing Candy Crush or engaging in office gossip. By the time you get home and pour yourself a glass of wine, the doorbell is ringing and your shopping is there! How awesome is that? No stress, no traffic, no “let’s check again the laundry aisle and look for that detergent I didn’t find the last time”. The little supermarket elves will take care of it all for you. When you grocery shop online, you have your list and you stick to it. You don’t get offered products you don’t need at the end of the aisle, and don’t end up buying that magazine at the cashier. 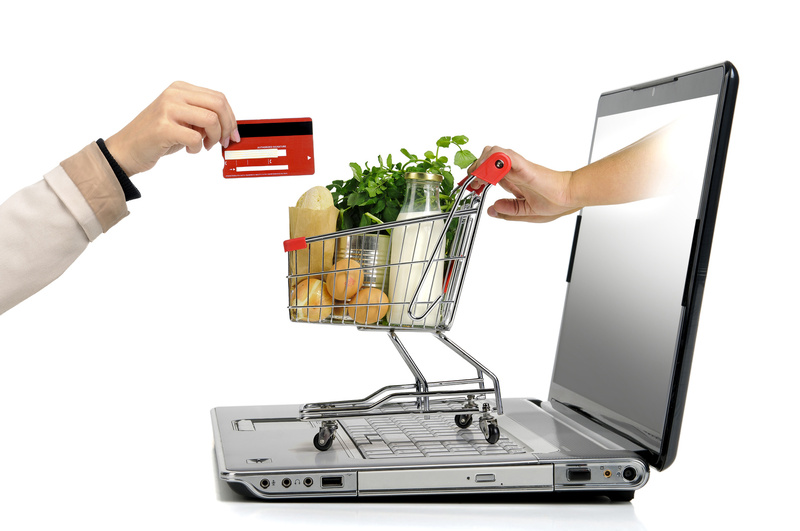 If impulse buys are a big part of your grocery budget, shopping online will take care of that for you. Not only do you save time by shopping online, you also save money. The gas money and car depreciation to go to the store, maybe if you didn’t have to shop you could even do without a car if your job is close to home! The extra £3 to have the groceries delivered is a small price to pay compared to your car and gas money. And as you are not in a rush to get it over with, you can do a quick online search to look for a coupon for free delivery or a discount on your favorite detergent. Your groceries get delivered to your doorstep. How far do you park your car from said doorstep and have to carry six packs of sparkling water, breaking your back in the process, and having to make two trips under the rain to come back for more? Plus the carrying from the store to your car? In my case, I had an underground parking and a lift to take me up to the flat. But even then, the convenience of having someone else carry the groceries up to the flat was bliss. In the UK, I mainly used Tesco for my online grocery shopping. At first, I was a bit disappointed with the vegetables, they would either give me very green produce, or items with a very short life, and I would not have time to eat them all before they get bad. Another thing I didn’t like too much was that the guys were always in a hurry and so we wouldn’t check my order together, and in a few rare occasions, some products would not be there. Some would be billed to me and not be in the cart, and some would be out of stock and not get delivered, meaning if I wanted to make my recipe, I would need a trip to the store anyway. So a few times, I wrote back to Tesco and told them I was unhappy with the service. And every time they answered back, refunding the missing or low quality product and offering their apologies. Don’t be shy if you feel like you didn’t get the product you wanted, most of the time they will make it right. Do you like online grocery shopping as much as I do? We have a few online grocery shopping places that deliver around here, and I’ve considered it a few times. My sister gets her groceries delivered and loves it! Online grocery shopping is very convenient. Although I don’t have money with me, I can used my card to pay for the items. I love it! I have switched to buying almost everything online, but I haven’t taken the grocery plunge. I know amazon has been piloting a grocery delivery program in some areas. Perhaps I’ll try that if and when it comes to NYC. I like going to the shops, it gets me out of the office or out of the house. I’ve never found shopping to be a chore. I’m a huge fan of grocery delivery. I’ve found that the money you pay for delivery charges is more than recouped by the amount you save on not being tempted by impulse buys. Fave time for delivery? Weekday mornings 8am-9am, when I’m at home anyway and Little Skint can help to put it away before she goes to school – a favourite job of hers! Skint in the City recently posted..Win £100 of supermarket vouchers! We don’t have many stores that will deliver your groceries in my area. But we do have a store where you can order everything online, drive to the store and then use the call box and they will bring your groceries to you. Hopefully, they’ll take the next step and deliver soon! well, now a days online shopping is the best option to all because we have no more time for go to supermarket and buy products so we have one best option for shopping online.